Home/News/What is a Digital Press? A digital press is a machine that allows a commercial printer like 3rd Coast Imaging to print directly from a digital file to a variety of mediums. When compared with a traditional press, going digital has quite a few advantages. To begin with, a digital press is often less expensive than its traditional counterpart. The machine is also capable of printing one off prints, which eliminates the need for additional setup costs each time the temp.ate is changed. A digital press has a much quicker turnaround time as well, often offering same day completion estimates. 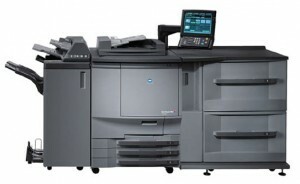 A digital press is a much smaller machine than a traditional printing press. This increases the chances of your printer being conveniently located. It can be very tough to find a traditional printing press located in a city or anywhere else that floor space can be expensive given the large size of these machines. If you have any questions about how 3rd Coast Imaging’s digital printing services can help you make the perfect marketing materials for your business, please contact us today!